The GOP's decision to postpone the vote on the Senate health care bill is "not a victory" for Democrats, Pelosi told reporters at a briefing. The House Minority Leader slammed Congressional Republicans for failing to pass legislation on the health care, tax reform, and jobs fronts since President Trump took office. 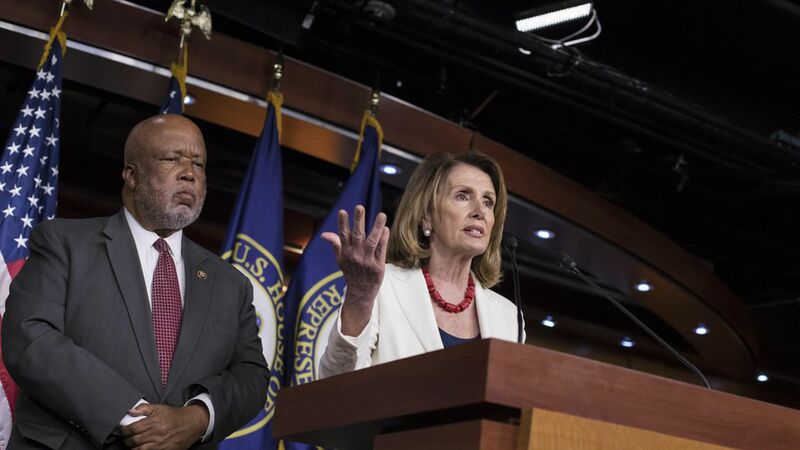 Rep. Bennie Thompson joined Pelosi at the podium to announce a new House task force on election security in light of Russian hacking of the 2016 election. Pelosi also responded to Trump's controversial tweets about the Morning Joe hosts, saying, "It is so beneath the dignity of the President of the United States."